2018This is an interesting science book that is both fun and thought-provoking, asking peculiar questions and giving scientific answers to common living and social phenomena. This is an interesting science book that is both fun and thought-provoking, asking peculiar questions and giving scientific answers to common living and social phenomena. It makes knowledge sharing enjoyable, allowing readers to enrich their understanding through easy reading and offering an insight into the complexity of the world. Are young people around the world getting poorer? Why do you feel sleepy when getting your haircut? How could you havebuilt a bicycle in ancient times? Could we ride dinosaurs if we travelledback to the Jurassic Period? Is it possible to fly using kites? You can find a scientific answer to every peculiar question! 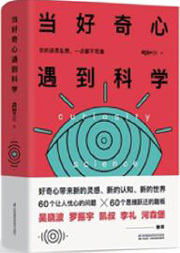 ·Every inch of your curiosity and every eccentric idea will be satisfied by this book.